SEATTLE – An estimated 5.4 billion people globally are expected to be covered under some form of universal health care (UHC) by 2030, up from 4.3 billion in 2015, but far below the related target in United Nations Sustainable Development Goal 3, according to a new scientific study. 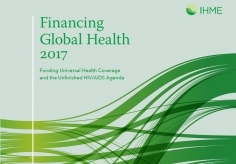 The study finds that, while health spending is expected to rise over the coming decades, it is likely to continue constraining efforts to achieve universal health coverage. The analysis was conducted by the Institute for Health Metrics and Evaluation (IHME) at the University of Washington and published today in the international medical journal The Lancet. Moreover, the study finds global health spending is expected to double over the next 20 years, from US$10 trillion in 2015 to $20 trillion in 2040; spending per person is expected to increase the most in middle-income countries. 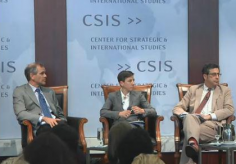 It is estimated that per-person health spending in 2040 would range from a low of $40 in Central African Republic to $16,362 in the United States. Among four income groups, the breakdown is $8,666 per capita for high-income, $2,670 for upper-middle-income, $714 for lower-middle-income, and $190 for low-income countries in 2040. High-income countries are projected to spend more than 45 times more on health per person than low-income countries in 2040. 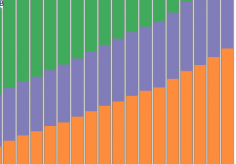 Per-person spending is projected to increase in 177 of 188 countries by 2040. Across income groups, the highest annual growth rates for total spending per person were estimated to occur in upper-middle- and lower-middle-income countries, with an average of 4.2% and 4.0% over time. 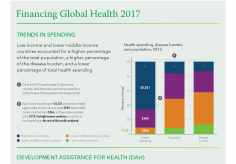 Globally, out-of-pocket spending was estimated to increase the fastest, although governments are expected to remain the largest source of funding in 2040, with 61.3% of total health spending. On average, high-income countries will have the largest projected pooled health spending – $7,508 per capita – in 2040. 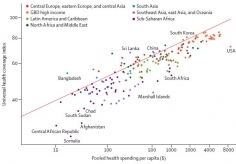 Conversely, sub-Saharan Africa and South Asia are expected to have the lowest projections for pooled health spending per person, $175 and $273, respectively, for 2040. 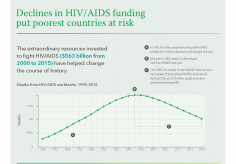 Dieleman, Murray, and IHME researchers worked with the organization’s health financing collaborative network, a group of 256 researchers in 63 countries.